Since its first store in South Korea, BonChon has come a long way. Read on to discover the major milestones of this deliciously addictive adventure. The start of a delicious adventure. In South Korea you can find a mom-and-pop fried chicken joint on every block, but Jinduk Seh had bigger dreams – to share his country’s favorite comfort food to the world. 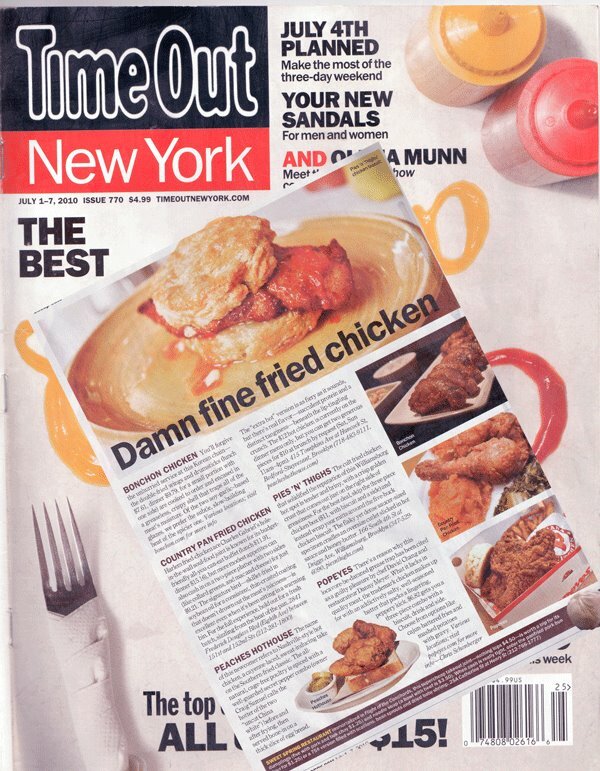 This motivation translated into his passion to perfecting the fried chicken cooking technique that ensures a paper-thin crispy texture outside and tender, juicy meat inside. He then spent 2 years creating the perfect addictive glaze that embody the rich and distinct korean flavors: Soy Garlic and Spicy. Bonchon’s original soy garlic and spicy sauce, which to this day is made in Korea and shipped worldwide. From then on BonChon, also known as “my hometown”, was born in the coastal city of Busan, South Korea. The success of Bonchon in his homeland gave Mr. Seh the confidence to expand his business. 2006 - BonChon opens first overseas store. BonChon goes global and arrives in Fort Lee, New Jersey, U.S.A. Jinduk Seh debuted his signature sauces in Fort Lee, New Jersey jump-starting BonChon’s rise to fame. and captivated discerning palates and was immediately given word-of-mouth appeal by discriminating media outlets like CNN, New York Time and Esquire. 2007 - Long lines welcome BonChon in New York and Virginia. The first BonChon New York and BonChon Virgina stores open in the U.S.A.
2008 - BonChon debuts in Massachusetts and California. giving BonChon more wings to become the well-loved global phenomenon by giving more people exciting food adventures. 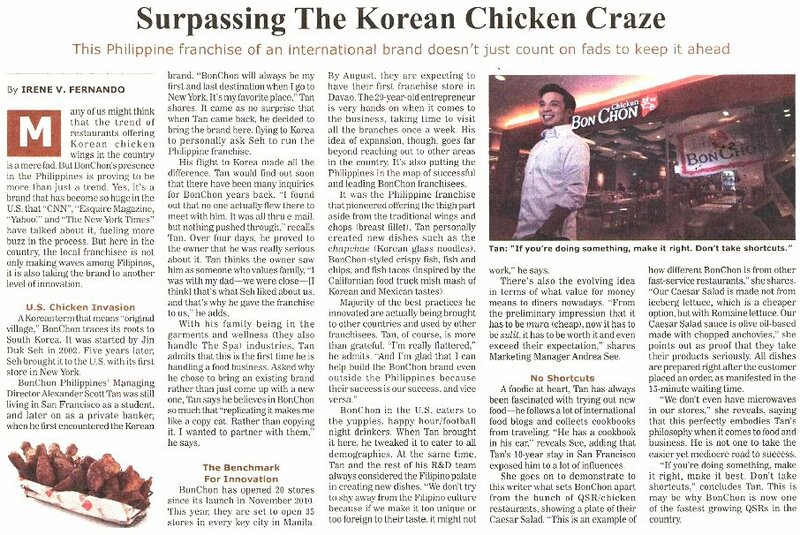 2010 - The addiction to BonChon goes on and on in the U.S.A.
2010 - BonChon Global arrives in SouthEast Asia. BonChon Global arrives in SouthEast Asia and opened the first stores in Thailand. 2010 - BonChon Global arrives in the Philippines. 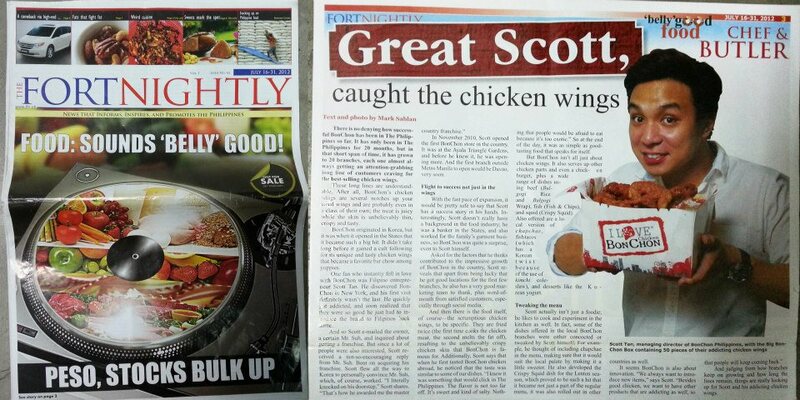 BonChon Global arrives in the Philippines through Scott Tan. It was here in the Philippines where the exciting Korean-American flavor and fusion experience became popular. 2011 - BonChon Global become franchisors. BonChon Global become franchisors and expands to Indonesia and Singapore, reaching 50 stores worldwide. CNN say Sorry, Colonel. BonChon’s Korean fried chicken is taking over the town. 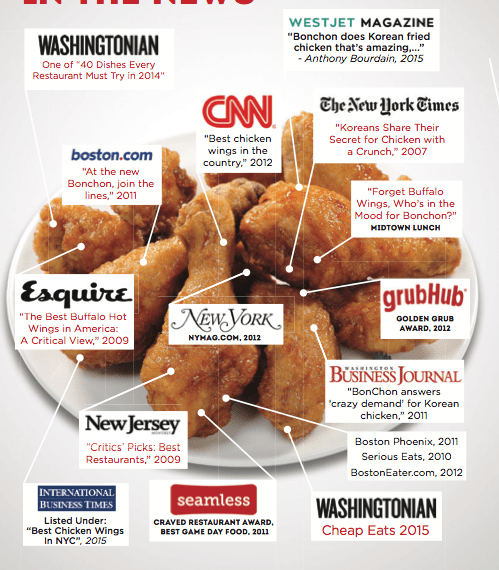 CNN’s Eatocracy hails BonChon as Best Chicken wings in the country. 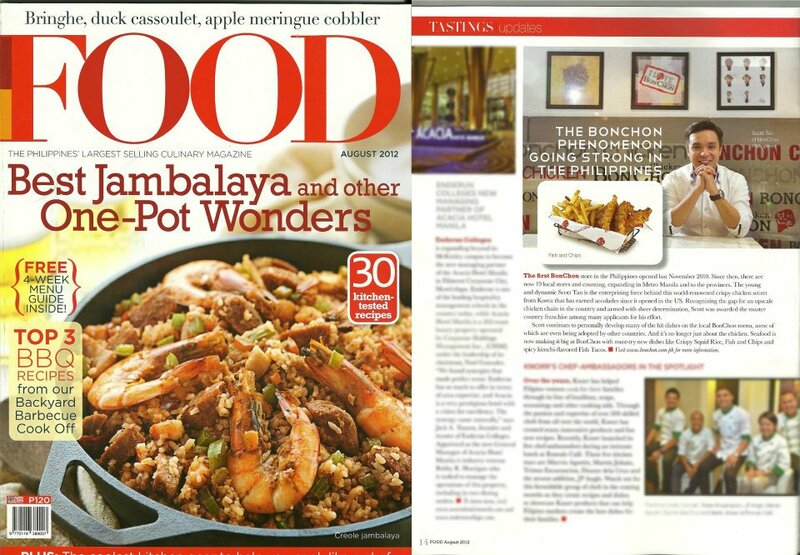 2011 - BonChon Philippines gathers cult following. 2012 - Scott Tan Wings it! ANC interviews Scott Tan of BonChon. 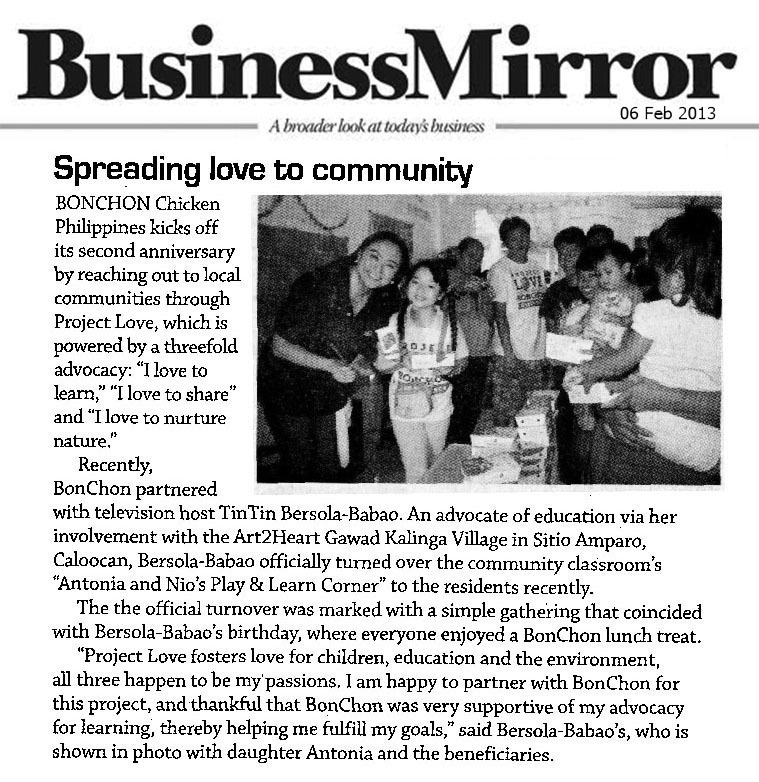 2012 - BonChon Philippines expands nationwide and arrives in Davao. 2012 - BonChon Philippines debuts in Cebu. Cebuanos give a whole hearted approval to BonChon Chicken. 2013 - BonChon Global reaches 100+ stores worldwide. 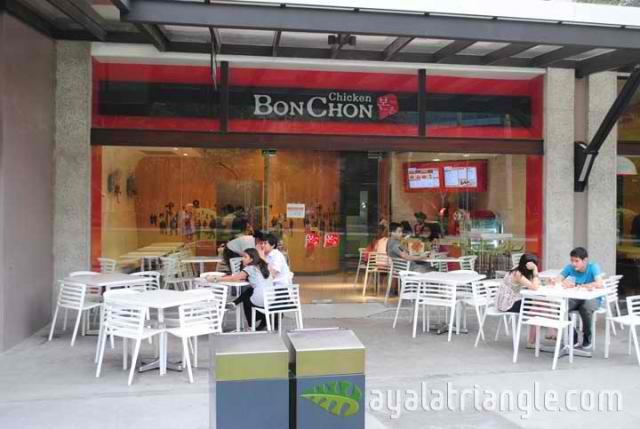 2013 - BonChon Philippines expands to over 75 locations nationwide. BonChon Philippines expands to over 75 locations nationwide and is considered one of the fastest-growing QSR’s (Quick Service Restaurant) in the country. 2013 - Launches Metro Manila, Cebu, Davao, Bulacan, and Cavite delivery hotline. From Here On, it’s BonChon. 2014 - BonChon Global arrives in Cambodia, and Bahrain and reaches 150+ stores worldwide. 2014 - BonChon Philippines arrives in Cagayan de Oro. 2014 - BonChon Philippines celebrates 80 Stores nationwide. 2014 - Breakfast is now served at selected BonChon Philippine stores. 2015 - BonChon Philippines touches down to Boracay, Bacolod and Batangas! 2015 - BonChon continues to amaze with deliciously shareable food adventures! 2015 - Change is Delicious! The 5th BonChon glaze is here! 2015 - BonChon Rewards Plus Card is launched for all loyal fans. 2016 - C’mon and be K-Styled! 2016 - What’s your chicken style? It’s definitely K-Style! 2016 - New Store Concept opens at U.P. Trinoma.